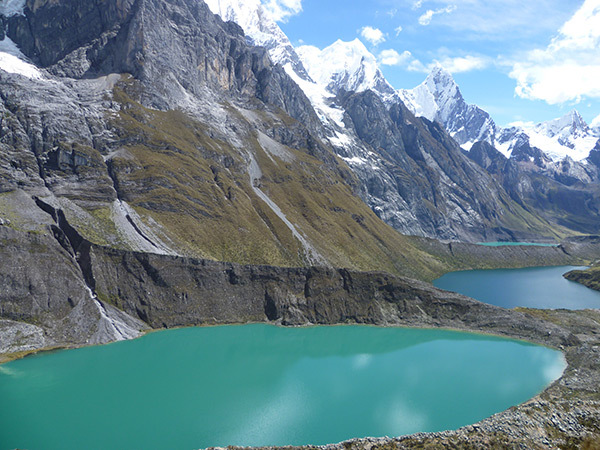 Cordillera Huayhuash – Huayhuash Trekking hiking walking, Usually the hike around the cordillera Huayhuash begins in the city of Chiquian (3,400 m.) 111 km. south of Huaraz . This little known route is one of the most beautiful and impressive trek. winds through such spectacular mountains as Yerupaja 6,634m. The second highest in the Peruvian Ande , Jirishanca , Siula grande made famous by the film ( Touching the Void ), Rondoy , Ninashanca and Rasac . This trail passes incomparably breath-taking lakes of crystalline water and tiny villages seeming out of touch with the rest of the world a wonderful recompense for those willing to venture of these paths. We can organise this trek on a ‘tailor-made’ private basis for groups of friends, families, clubs, charities or any other group. 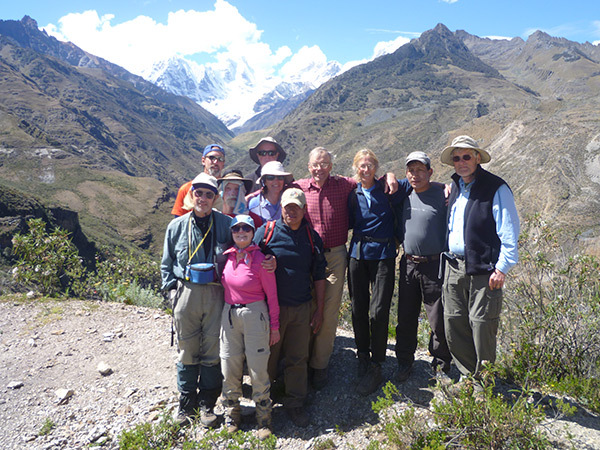 Depending on your trekking experience, with the assistance of local guides. The cost of going private can be surprisingly reasonable. Please contact us to discuss the itinerary and your preferred dates. We will then send you a quote, with no obligation. Day A: Lima – Huaraz 3090m. In the morning we climb up to our first pass Punta Cacanan (4700m) then descend to our camp at the beautiful lake Laguna Mitucocha (4150m). 6 hours. From our camp we have close views of the huge peaks Ronday, Jirishanca, Ninashanca. Day 03: Mitucocha – Carhuac Pass 4,600m. – Carhuacocha 4,200m. We climb to the next pass, the Carhuac (4600m) and have views of Siula Grande , from a nearby hill. 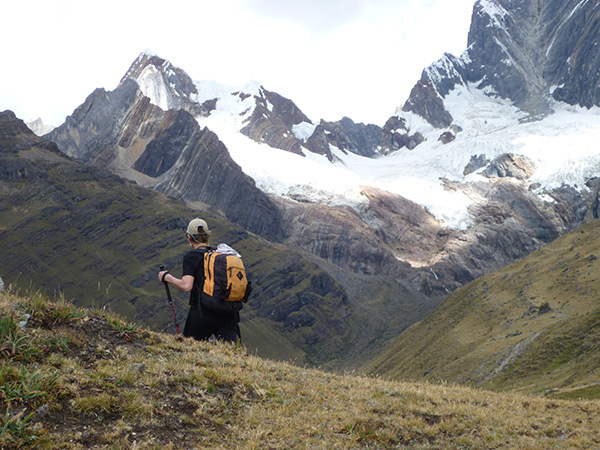 We then descend to a camp at 4200 m. above Laguna Carhuacocha and beneath the impressive peaks of Yerupaja Grande , Yerupaja Chico and Jirishanca. Day 04: Carhuacocha – Siula Pass 4,800m. – Huayhuash 4,250m. A long day, with a choice of routes via Punta Suila (4800m) or Punta Carnicero (4600m) to reach the small hamlet of Huayhuash. Camp. (4250m). After our breakfast we going to climb up for 3 hours to cuyoc pass at 5,000m. the highest pass in the huayhuash trekking on this pass we will see the cordillera raura and the mountains of the cordillera huayhuash as pumarinry cuyoc jurao etc after we going to down for 1 hour to san Antonio camp. Day 07: Huanacpatay – Huayllapa – Huatiac 4,300m. 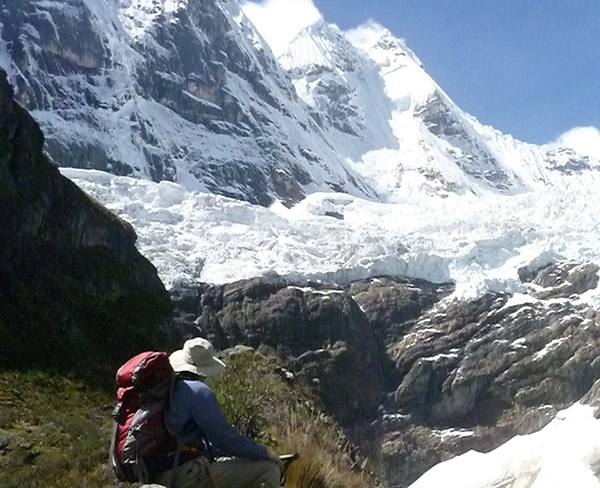 This day we will have 2 pasess at first tapush pass then go down for 40 minutes then climb up to yaucha pass 4,750m. then go down to jahuacocha camp at 4,100m. Today we cross the final pass of the route, Pampa Llamac pass 4500m and then descend to the village of Llamac 3250m. Here we say good bye to our trek crew and meet our vehicles for the 5 hour drive back to Huaraz. Arriving in Huaraz we check into our hotel and there will be time for a quick clean up before dinner and a soft bed! 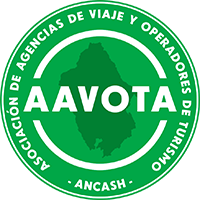 by Bus or by flight it will be to Lima hotel or direct to airport.